Theatre By Numbers is dedicated to supporting and developing creative understanding by providing various opportunities to a large number of people. Below are some of the main ways we offer professional guidance in Theatre. Here you can find the various LAMDA courses you and your group can partake in. Theatre by Numbers shall work with you to create the right workshop for you and your group. 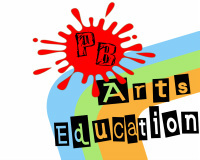 Taking workshops, performances, after school clubs and PPA Supply to North West based schools.